How To Write Advertorials To Promote Your Website Or Blog As Well As To Earn Money? Today, I will introduce a special way to promote your website or blog. Although I think that this way isn’t very new to you and also not very popular. Just because it isn’t very popular, we can use it can get good result. And some people used this great method to do promotion before and most of them managed to attract tons of visitors or customers. This special way is known as writing advertorials. 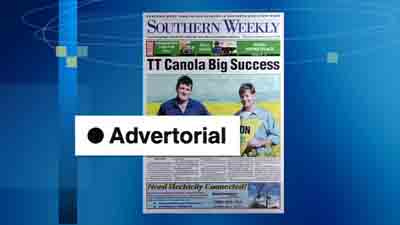 What is an advertorial? An advertorial is both a type of an article and a type of advertisement. It’s similar to news or comments but its purpose is to promote something. I have written some advertorials before, and that’s why I’m here today to share with you guys my experience. Advertorial is a special article which you need not to worry about your language skills as what it requires is a good focus and vision. English is not my first language, and now I’m learning it, but I can use English to write advertorials as well. Like “TagCK: A Wonderful Blog Widget Which Is Designed By Me” is a typical advertorial. Now, you should get a hang of what advertorials are and if you read TechXav frequently, you may know that nearly all the posts in TechXav can be advertorials, but they aren’t. Why? Simply it’s because these online tips are written by Xavier and he suggests you to use wonderful applications . What will happen if someone wrote something about his website and ask Xavier to post it? You may know that this particular website can get many visitors from TechXav. That’s the effect of writing advertorials. You must have a good title. A well-written and interesting title can attract the eyes of many readers and can even produce News Effects. And your title should includes both the product and purpose. That simply means your title need to have your website and main feature or other things which you’d like to promote. If you want to get News Effects, you need to write something like news, to introduce the special features about your website, and try to amaze your readers. A good beginning is also important because you need to attract readers to continue their reading. I suggest you to try not to write anything like advertisements. For posts, you can write something like your experience and feeling. On the other hand, for news, you can write something about the event and factor and most likely these enables readers to read more. That’s the focus of advertorials writing, you can just introduce it, and try to say good things. Readers may be interested after read these words or sentences. This skill is extremely important. If you write too many features in one advertorial, the result wouldn’t be that good as compared to just one point per advertorial. This is because readers will not have a clear direction while reading. You need to catch what readers need and writing too much puts them in a disadvantage too especially if they can’t remember all your features well. You can write a few advertorials in different ways instead to respect different types of readers’ need. Remember, do not cheat in advertorials, and try not let readers feel disappointed. That’s very terrible if readers feel discontented and decide not to trust your website any more. So write something which you really have and be honest please. This will benefits both parties. That’s the 5 skills or experiences of writing advertorials. If you can understand advertorials well and do write them well, you can be a good promoter! Also as a blogger, you can also use this method to earn money. You can ask for money and write something to promote a website, that’s totally harmless for your visitors, but it’s a wonderful way to boost your revenues. If you’ve a wider knowledge about advertorials, you can also use them for marketing. From my hear, I can only tell you that nearly every post in TechXav can be advertorial, but they are not related to money. You can do the same thing and make money. This is indeed a very good idea!